Few people have the chance to receive multiple talents at birth. In the case of Marie Séférian, these are artistic creativity and open-mindedness which can overcome barriers, both real or imagined. Both of these have their chance to shine in Sémacordes, the French/German composer/interpreter's most recent ensemble. It reunites Marie Séférian's Berlin-based jazz group and the Parisian string quartet Equinoxe. Founded in 2013, on the occasion of the 50th anniversary of the Elysée treaty, this septet represents an emotional story for Marie Séférian from more than one point of view. Born in Münster, she was strongly influenced by her French-German parents, both classical musicians. The exchange between two cultures but also between two musical styles is at the heart of this extraordinary group. Meanwhile, the idea of marrying strings and voice most probably comes from Marie Séférian's years of studying the violin. 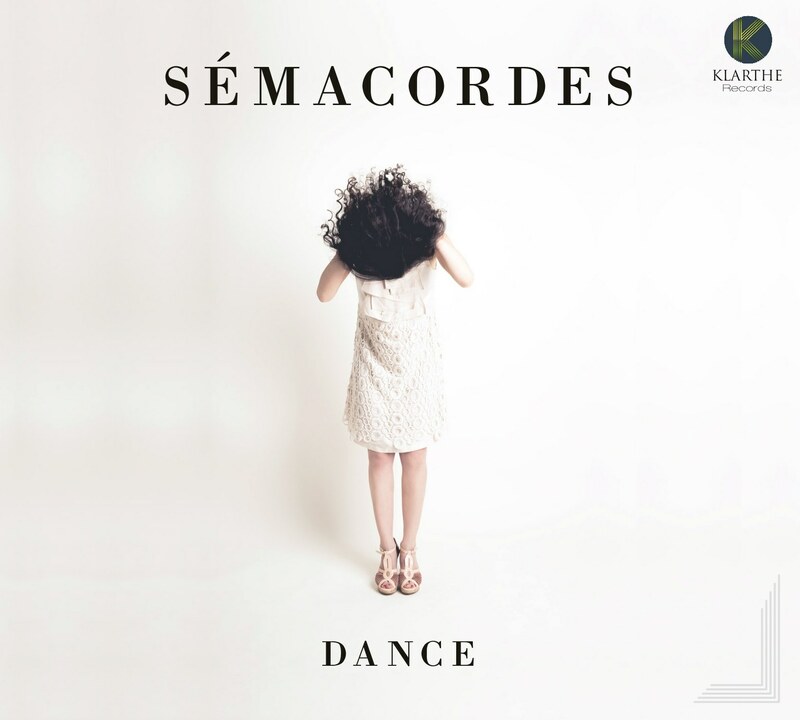 Marie Séférian wished, whilst composing, that each instrument have an equal voice, an aesthetic of equilibrium which influences the music of the Sémacordes ensemble. Roguish melodies and intelligent arrangements, fragile passages and grooves above which soar a radiant voice, inter-weave in pieces full of charm and spirit. The range of the septet covers the whole palette of sound colour, from soft pastels to bright colours, creating intense and nuanced atmospheres. 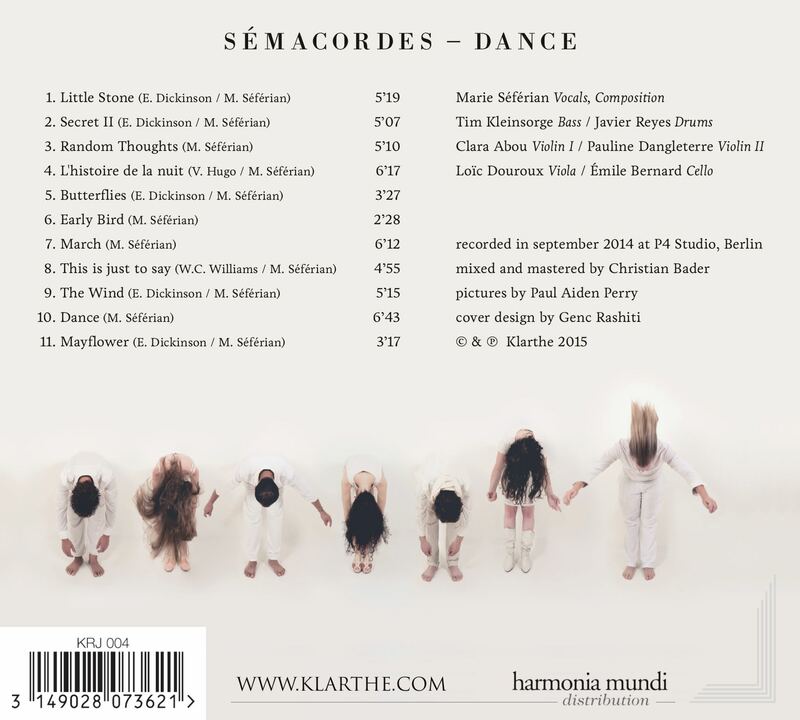 Marie Séférian has chosen the texts for her compositions from those of the poets and thinkers of the 19th century: Emily Dickinson, Victor Hugo and W.C Williams resonate with Sémacordes. Depth and seriousness are here and there interrupted with talent by irony and humour. It is this wish to go off the beaten track, a character trait of Marie Séférian, that she handles with brio in her septet. An ensemble that not only bridges the gap between France and Germany, but that joins together jazz and classical too. A music, a cultural composition which invites each enthusiast to embark on a voyage of discovery.